In this article I’m going to show you everything you need to know to get started with Multisite and create your own network of blogs or sites. What is Multisite and how is it different from regular WordPress? Plugins to make Multisite even better. Site refers to one of the blogs or sites created as part of the network. So when I refer to your site, I don’t mean your whole network of sites, but just one of the sites on it. Each network will have a main site, which is created when you install WordPress and which will probably use the main domain for your WordPress installation: that’s still a site. I’ll explain this in more detail as we go along. So now we’ve got that sorted, let’s take a look at Multisite! A feature of WordPress 3.0 and later versions that allows multiple virtual sites to share a single WordPress installation. This means that by installing WordPress just once on your server, you can run as many sites as you want, and I really mean as many as you want. At the time of writing, WordPress.com hosts approximately 37 million sites, and our own Edublogs.org hosts nearly 3 million educational sites. You won’t be able to host millions of sites on a standard Multisite installation though – later in this post I’ll cover some plugins and techniques you can use to host large numbers of sites. The great thing about Multisite is that the WordPress installation itself is almost exactly the same as a standard installation: it has the same folder structure, the same core files and the same code base. This means that installing a Multisite network isn’t much more complicated than installing a standard WordPress site, and updating Multisite is exactly the same as updating any WordPress site. All of your network’s themes and plugins are stored just once, no matter how many sites you use them on, meaning you’ll be using a lot less server space than if you used a separate WordPress installation for each site. But there are some differences in three areas: in the admin screens and the way you use them, in the files in your WordPress installation, and in the database tables. When you activate Multisite, some extra screens will be added to your admin, for managing the network. You can see below the there’s a special dashboard for managing the network. These are accessible only to the Super Admin who manages the network (that’s you) and will let you install themes and plugins and create and manage sites. I’ll take you through these in more detail later in this post. The admin screens that each site admin can access are similar to a standard WordPress site, but a couple are missing: site admins can’t install themes or plugins but can only activate those that have been installed on the network. But apart from that, the screens will be very familiar to anyone who has used WordPress. There are just two differences to the files and folders in a Multisite network: the wp-config.php file and the wp-uploads folder. The wp-config.php file will have some extra lines added which activate Multisite and tell WordPress how it’s running. The wp-uploads folder will contain a subfolder for each site on the network, with the site’s numerical ID as its name. Files uploaded to each site are stored in that site’s folder, in the same structure as you would normally expect to see them in the wp-uploads folder in a standard WordPress installation. But the good news is that WordPress manages the file structure for you, so you don’t need to worry about it! The final difference is one you really don’t have to worry about unless you’re into that sort of thing: the database tables. The database for a standard WordPress installation will have 11 database tables for storing your site’s content and settings. With a Multisite network, nine of these are duplicated for each site, meaning that if you’ve got a lot of sites, you’ll have a lot of tables. This keeps the content for each site separate. Again this is something that goes on behind the scenes and which you should never need to worry about. A network which people can add their own sites to, either for free or by paying a subscription. I have my own network of personal sites on my blog. I use this to create sites to demonstrate techniques I write about in my books and tutorials, and to try out new ideas. You might want to create a network to host your own personal sites if you have more than one, and with domain mapping plugins you can even use a different domain name for each site. 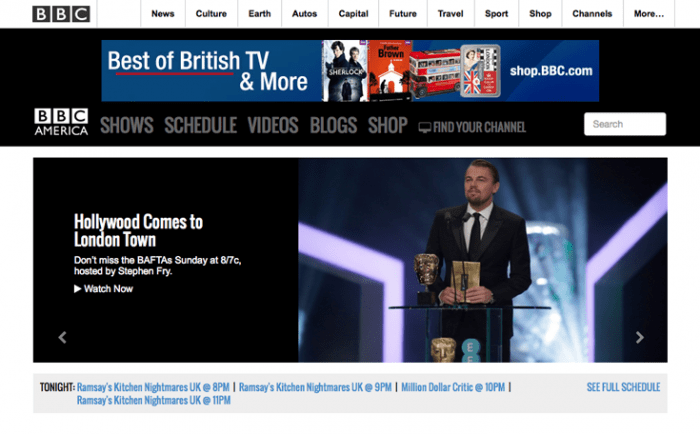 Businesses also use Multisite to host multiple sites which they administer and manage themselves: an example is BBC America, which uses Multisite to host its network of blogs. I also manage a network of client sites for my agency, Compass Design. I moved all of my client sites to Multisite a year or so ago after years of keeping them all separate. It means that when I need to update WordPress (or a theme or plugin) I only have to do it once, and I have one place from which to manage all of my client sites. I use domain mapping so each client can have their own domain, and give them admin access for their own sites if they need it (which not all do). The benefit of this is that it means your site admins have more capabilities than an editor would on a standard site but can’t install themes and plugins which might break their site or your network. There are also plenty of examples of Multisite networks which let people create their own site. 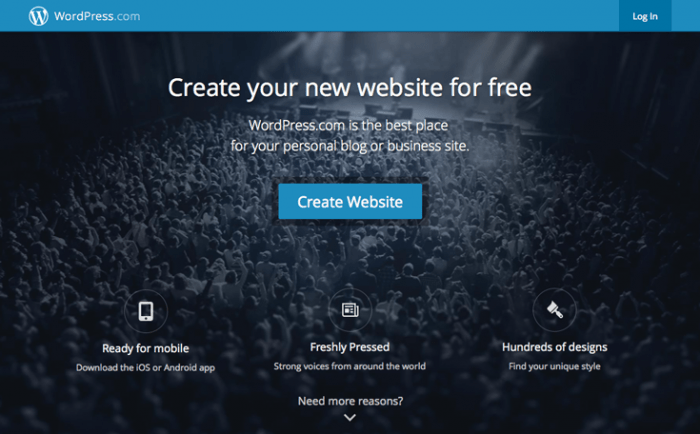 The biggest, WordPress.com, hosts millions of sites and is free to use, with premium themes and plugins available at a cost. You want to create a single site or blog and don’t plan to create any more in future. You’re creating sites for multiple clients but each will be hosted separately, maybe with clients having their own hosting providers. Each site you’re creating will need its own separate database (maybe for security reasons). Each site will need its own IP address. Site administrators will need to install their own themes or plugins. You’ll need to move your sites to another server (that this can be done but is more involved than for a standard site, and can be avoided completely if all you need is separate domains). Your hosting doesn’t provide the necessary server requirements. You don’t have access to the files on your server for editing. If one of the above applies to you, I would recommend sticking with a single site WordPress installation. If you do need a network but your hosting setup prevents you from doing so, I’d recommend switching providers! Using subdomains means that each site will have a url like http://site1.yournetwork.com. If you’re planning to let people create their own site, you’ll need to have wild card subdomains activated for your hosting. Using subdirectories means that each site will have a url like http://yournetwork.com/site1. You can’t choose this option on an established site that you’re converting to a network as it may cause clashes with urls already created in your site. Let’s start by activating Multisite in a brand new installation. Read the rest article at Lets start with the ultimate guide to wordPress multisite part -2. Courtesy: The ultimate guide to wordpress multisite from “wpmudev.org” of “Rachel McCollin”.